The family of Petty Officer 3rd Class Lonnie Jones at his memorial service at Station Destin (left to right): son, Lonnie Jr.; daughter, Latesha Passmore; wife, Jacqueline Jones; daughter, Michelle Jones and mother, Pearline White. It was 30-years-ago today, the morning of March 30, 1981, and Jacqueline Jones could just feel that something just wasn’t quite right. “I just felt like something had happened to Lonnie. Something just wasn’t quite right. I had cooked Lonnie some breakfast, and it was sitting on the table waiting for him, and he never showed,” said Jones. Unfortunately Jones was correct. Something had happened to her husband of six years. In the early morning hours of March 30, 1981, Petty Officer 3rd Class Lonnie Jones, a machinery technician at Coast Guard Station Destin, had lost his life doing what he had been trained to do: save lives. Almost 30 years later, on Nov. 19, 2010, Jones was honored posthumously in a ceremony at Coast Guard Station Destin. The ceremony, complete with taps and a flyover from Coast Guard Air Station New Orleans, was held under a crisp fall sky and attended by local dignitaries and Coast Guardsmen from units as far away as Mobile, Ala.
Local Destin businessman Ken Wright, a retired Coast Guard warrant officer, donated an Italian-made marble lighthouse statue, now a permanent tribute at Station Destin to Petty Officer Lonnie Jones. 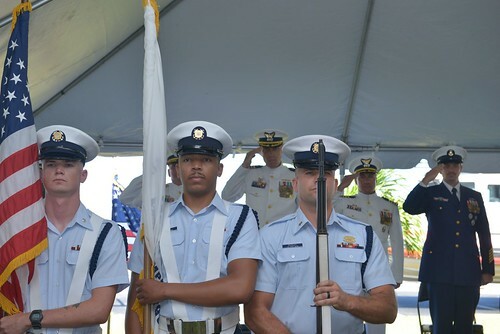 Wright, and Master Chief Petty Officer Timothy Hudson, officer-in-charge of Coast Guard Station Destin, unveiled the memorial lighthouse during the ceremony on Nov. 19 (see photo, right). The lighthouse, as described by Wright, is a fitting way to memorialize Jones. “The goal of the memorial is to recognize what the Coast Guard does and the sacrifice made by Lonnie Jones. The late Petty Officer Jones will continue to save lives through his sacrifice,” said Wright. The tragic chain of events that occurred in 1981 unfolded in a matter of three hours. On that morning, lives were forever changed, a son would never meet his father, a wife would be left raising three children on her own, and the Coast Guard would be void of a dedicated shipmate. The mishap report from March 30, 1981, chronicled the events leading to the demise of Petty Officer Lonnie Jones. The weather that March day was ominous. By Florida standards, it was a chilly 60 degrees, as Jones described it. Reports from the National Weather Service logged the day as overcast with dense fog, the sea temperature hovered at 58 degrees and there was a small craft advisory. At approximately 5:45 a.m., a man walked into Station Destin reporting that the boat he was in capsized and one of his crewmembers was still missing. Somehow the man had struggled to shore, but he still required the assistance of the Coast Guard. 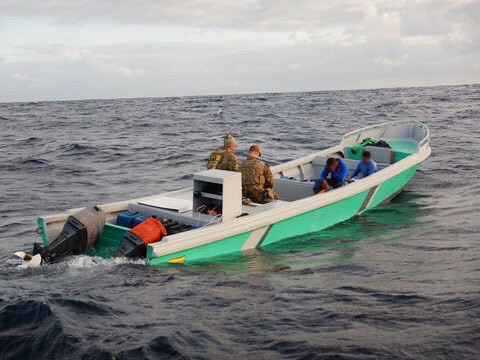 At 5:55 a.m., the station launched a 41-foot utility boat with three crewmembers, including Petty Officer Lonnie Jones, and by 6:10 a.m. the UTB crew was ordered to return to base because the second survivor from the initial search and rescue case was located safely on the beach. As the UTB crew made its way back to Station Destin, the boat was struck broadside by a wave in seas greater than 15 feet. 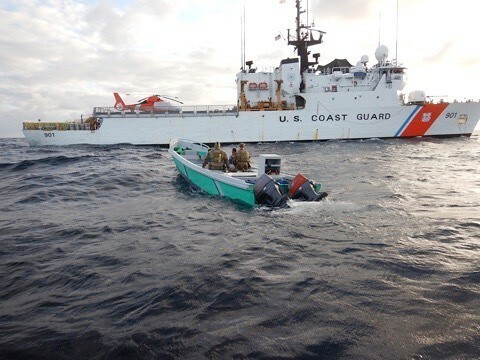 A second wave struck the UTB, eventually causing the boat to lose power and rudder control, and capsize with three Coast Guard crewmembers aboard. 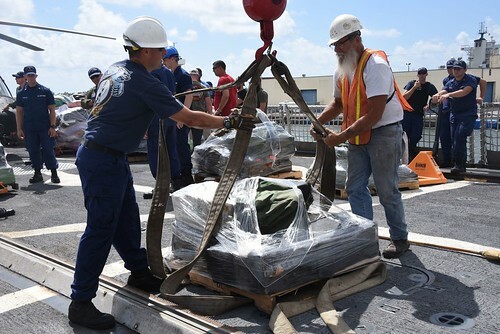 The three crewmembers were swept forward into the passenger’s compartment of the UTB and found relief in an air pocket allowing the crewmembers to breath. At 6:14 a.m., the crewmembers were standing in rising water in the forward compartment. 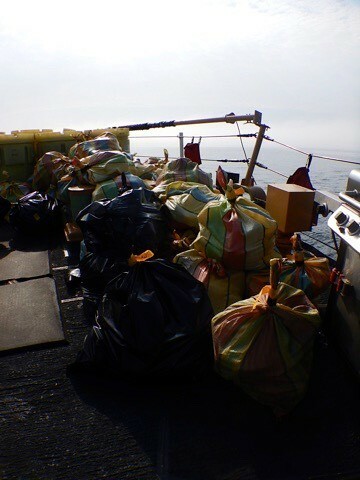 It was then that the crewmembers sighted the jetties approximately 200 yards away. Fearing imminent death the three broke a side window and attempted to swim to the jetties without a life jacket in 58 degree water and 15-foot waves crashing over their heads. 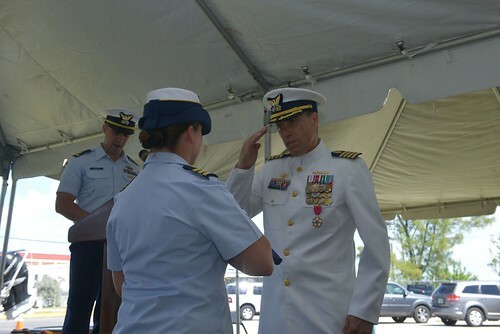 Two of the crewmembers successfully made the swim, but Petty Officer Lonnie Jones rapidly succumbed to hypothermia and perished. The surviving two Coast Guard crewmembers were rescued via helicopter at 8 a.m. and medevaced to a local hospital where they were treated for hypothermia. At 9 a.m., Petty Officer Lonnie Jones’s body was recovered and brought to the local hospital. By 9:25 a.m., Petty Officer Jones was pronounced dead. The cause of death: hypothermia-induced drowning. Sometime that morning Jacqueline Jones received a phone call from two of her husband’s friends from Station Destin. “They called and said that Lonnie had been in an accident while at work. I asked them if he was OK. They said he was in critical condition, but something still wasn’t right,” said Jones. When Jones arrived at the hospital, she learned that her husband had passed away, leaving Jones with two young daughters, Michelle and Latesha, and one child on-the-way who would later be named Lonnie Jr.
“Lonnie never knew that I was pregnant with our son,” said Jones. It has been almost 30 years since Lonnie’s death, and Jones still misses him very much. “For me that was the day my life stopped. I lived for my husband. I have never remarried. My husband was a gentleman and they just don’t make men like him anymore,” said Jones. Jones described her husband as an outgoing, caring, loving person, who was a jokester. His job in the Coast Guard was very fitting to his personality. “He loved people. He was always helping people because he said that’s what made him happy,” said Jones. Capt. 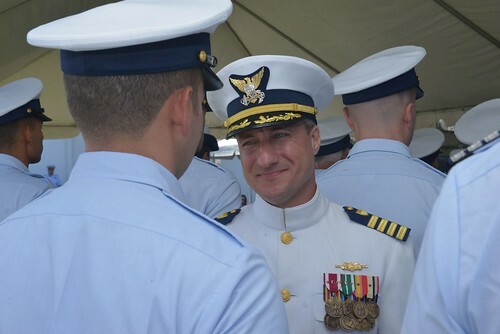 Peter Troedsson, chief of staff for the Eighth Coast Guard District, who offered some kind words to the Jones family during the memorial service, noted that Jones is now part of a long line of distinguished Coast Guardsmen. 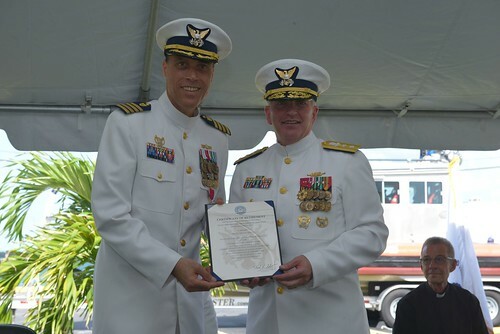 “Petty Officer Jones made a commitment to the service of the American public. He now follows a long line of heroes,” said Troedsson. Jones may be gone, but he is not forgotten. The lighthouse at Station Destin will be a constant reminder for the Guardians who follow that the sea is not forgiving. Etched on that memorial are the words “be the lighthouse.” Though gone for eternity, Jones will continue to “be the light,” allowing his legacy to shine, lighting the way for Coasties making their way back home. This story first appeared in The Heartland Guardian on November 23, 2010..